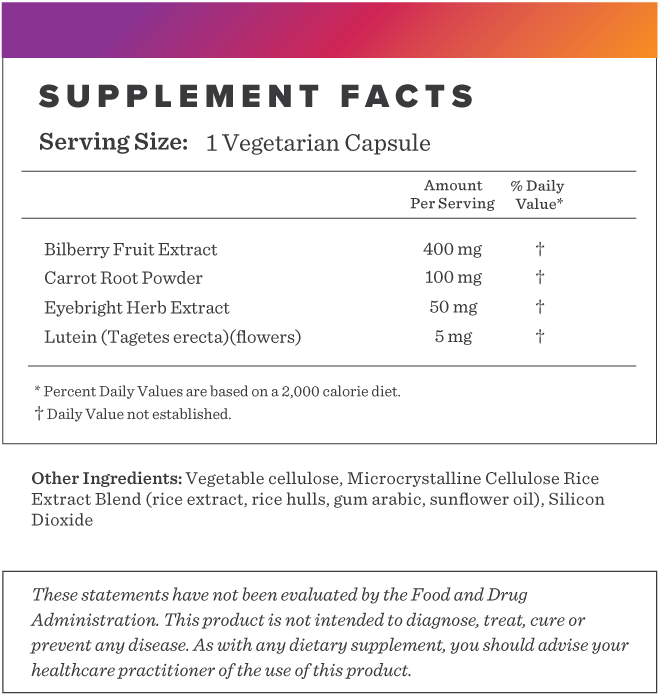 Lutein is a carotenoid and thought of as the "eye vitamin". 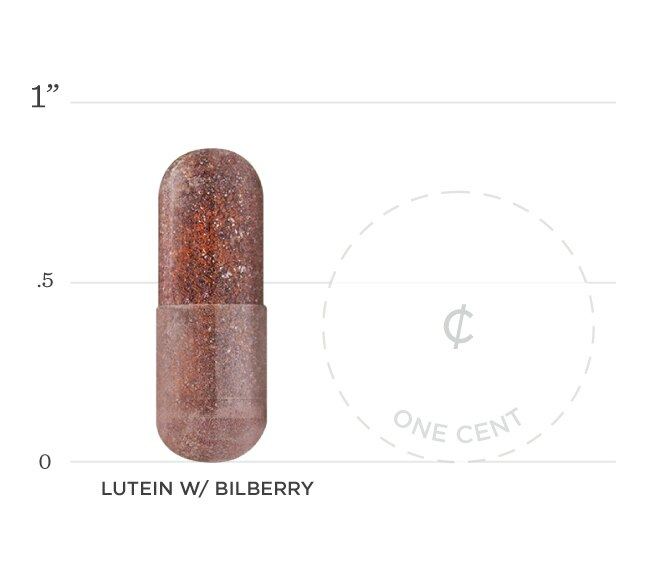 Our Lutein supplement also contains bilberry which has been shown to be beneficial for eye health. Lutein contains carotenoids, pigments found in fruits and vegetables that give their vibrant colors. Carrot powder also contains Beta Carotene which can help with retina health. Lutein is naturally present in the back part of the eye that filters blue light and helps maintain cell vitality. Bilberry contains anthocyanosides, a type of antioxidant that may help reduce inflammation to further support eye health. 2. Study supports potential eye health benefits of bilberry extracts. Nutra Ingredients. https://www.nutraingredients.com/Article/2010/03/25/Study-supports-potential-eye-health-benefits-of-bilberry-extracts. Updated March 16, 2017. Accessed February 13, 2019. 3. Research has shown eyebright herb extract to contain anti-inflammatory properties beneficial for eye health. Below we've broken down the main functions of our Lutein w/Bilberry and the benefits it can provide. Lutein is a carotenoid that is highly concentrated in the eyes. Research has shown a connection between low lutein levels and eye problems.